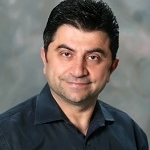 Dr. Edmond Massabni has been practicing dentistry since 1994. 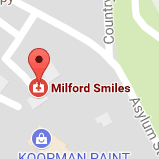 He has served the Milford community as a general dentist for more than 11 years. Dr. Massabni received his Doctorate of Dental Surgery with honors from Loma Linda University School of Dentistry in California, where he was recognized with the Professionalism Award. He is a fellow of the International Congress of Oral Implantologists and a graduate of Dawson Academy in occlusion and temporomandibular joint (TMJ) disorders. Dr. Massabni has completed advanced training in aesthetic and prosthetic dentistry, and he is a graduate of the Misch International Implant Institute. In his free time, Dr. Massabni enjoys outdoor activities, gardening, and traveling.